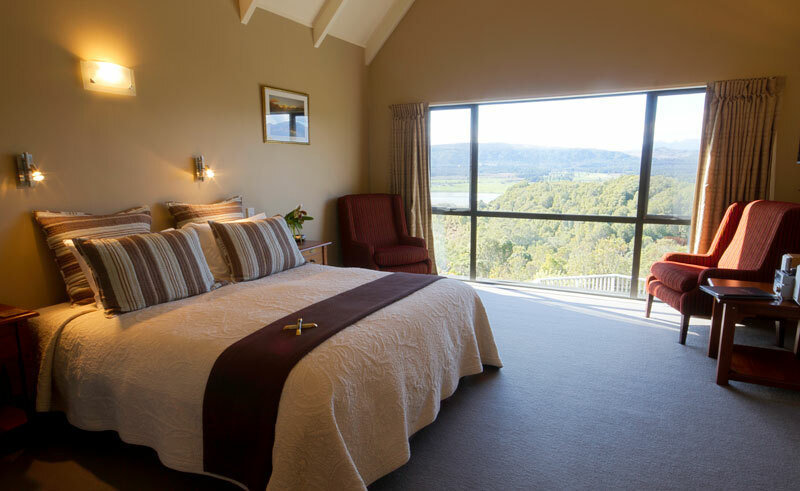 All four rooms, which are managed and maintained by owners Helen and Peter Wells, have been architecturally designed to maximise the breathtakingly beautiful views of the Hokitika River and alpine peaks. Your hosts will be on hand to advise you on the best ways to spend your days; whether that is a visit to the sublime Hokitika Gorge or a local jade carving workshop. They will also suggest and reserve on your behalf any restaurants you may like to visit in the nearby town of Hokitika. 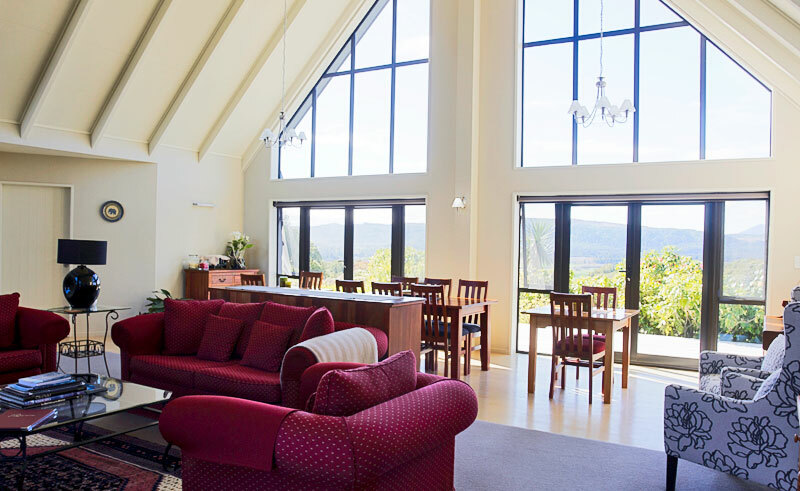 Rimu Lodge is the perfect retreat for you to relax and admire the native New Zealand wilderness, whilst located in an ideal spot to enjoy the wider region. Hokitika is best placed to access some of the West Coast’s attractions and regions. Near to the lodge guests can visit the White Heron Sanctuary at Whataroa or the Glow Worm spectacle at Lake Kaniere or simply enjoy the many award winning cafes in Hokitika. 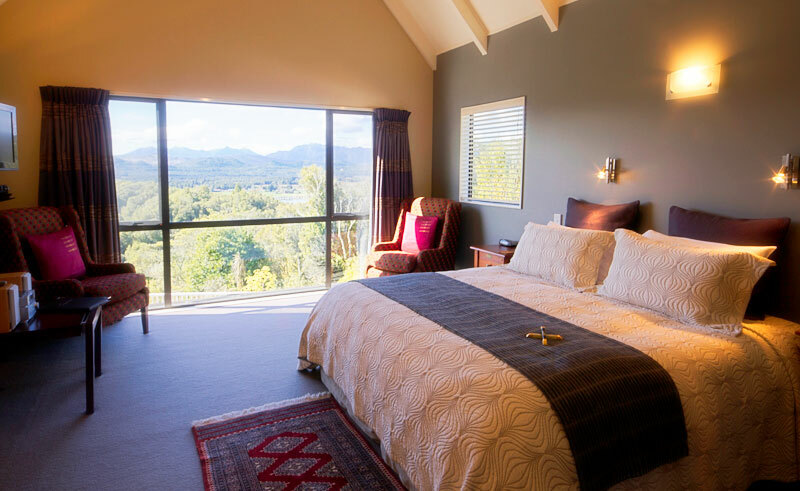 Alternatively, slightly further afield but still within reach are the inspiring Franz Josef and Fox Glaciers, and the beautiful historic goldfields of Ross.